Hundreds of costumed children will descend upon Veterans’ Memorial Park on Saturday in search of sweets during the annual Trunk or Treat. 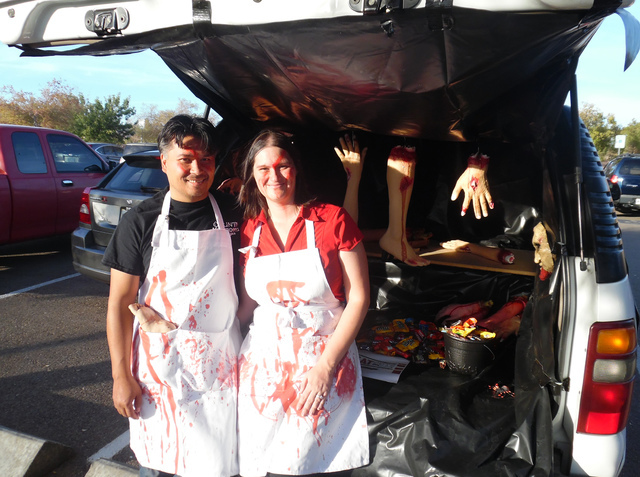 File David and Tracie Polak represented the Boulder Dam Credit Union at last year's Trunk or Treat. This year's event will be held Saturday at Veterans' Memorial Park. 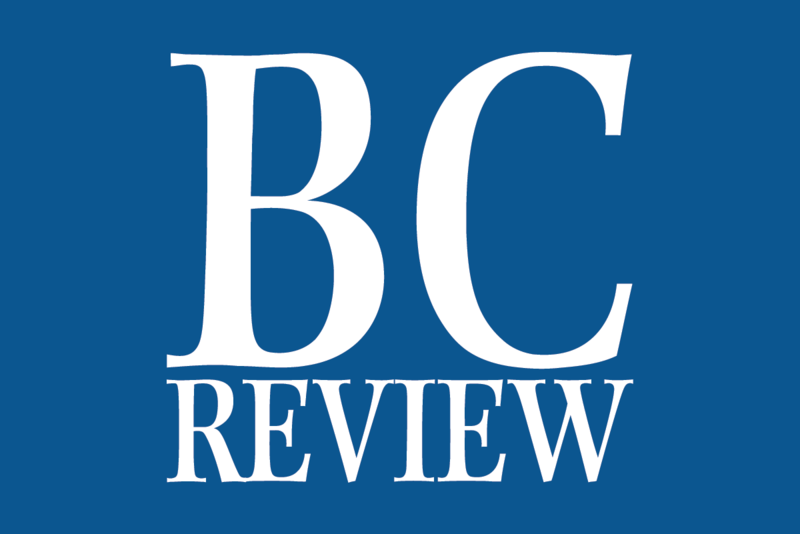 Kassie Ackerman, officer manager for the chamber, said it typically sees anywhere from 350 to 500 children, plus their parents, for the party in the park. “There were 325 cars parked last year,” she said. In addition to trick or treating, the event will include a costume contest, a trunk decorating contest, carnival games, bounce houses, bungee jumping, rock wall and Knockerballs, giant inflatable and clear balls that envelop people so they can bounce off one another safely. There also will be a haunted hayride through the tree-filled area near the splash park and entertainment by the King Kids choir from King Elementary School. Additional sponsors of the event include Dr. Eldon Clothier, American Family Insurance-Kendra Wright Agency, Bootleg Canyon FlightLinez, Christian Center Church and Serenity Salon and Spa. For more information, visit bit.ly/2h3nDXL.